Poll: Will the Palm Pre be DOA? 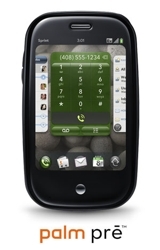 At least one so-called expert is predicting the Palm Pre will be a dud and no one will buy it. But what do you think? Hell, if you have been following the Pre ever since we announced it here on CrunchGear, you know as much about the phone as anyone else including this expert. Feel free to sound off in the comments too.